It seems upgrading to Ubuntu 13.04 breaks a few things in the QGIS build process. Here’s some quick workarounds I’ve found to get it building again. Update: A better solution was found by Pierre and Pvanb and is described here. Basically it involves changing the QMAKE_EXECUTABLE option from /usr/bin/qmake to /usr/bin/qmake-qt4. make: *** No rule to make target `/usr/lib/libpython2.7.so', needed by `output/lib/libqgispython.so.1.9.0'. Stop. What do you do when you are managing a remote server and you need to make some critical changes (like to the networking configs) and you feel uncomfortable about the possibility of losing access to the server and never getting it back? This was the situation we were in today. The server is a little esoteric - its a headless box and even in the server center the engineers don't have any way to log in interactively at the server itself. Luckily the server is running Debian linux and has a usb port so help is at hand via bash! If you place the script in /root/usbrescue.sh and add a cron job as outlined in the comments, it will poll for devices regularly, mount the last partition available. If it finds a script on that partition labelled rescue.sh, it will run it then rename the script to rescue.ok and write any stderror and stdout logs to rescue.log on the partition. The script could perhaps be improved by adding a lock file so that it does not get run again if it is already running (if it takes longer than a minute to run for example), but it's a good starting point for a system rescue if things go wrong. Now the engineer on site can simply pop in his usb stick and any recovery commands will be run from it. That is all well and good but a bit impractical. It would be much nice to have the colour pallette permanetly assigned to the hillshade. Also I want to be able to clip and mask the resulting raster to the boundary specified in a shapefile. Fortunately, GDAL provides all the tools you need to make this happen. There are already some nice articles (like this one) that describe parts of this workflow but I am writing this because I wanted to note the additional steps that I took to make this work well for me. The first thing we need to do is generate a hillshade. 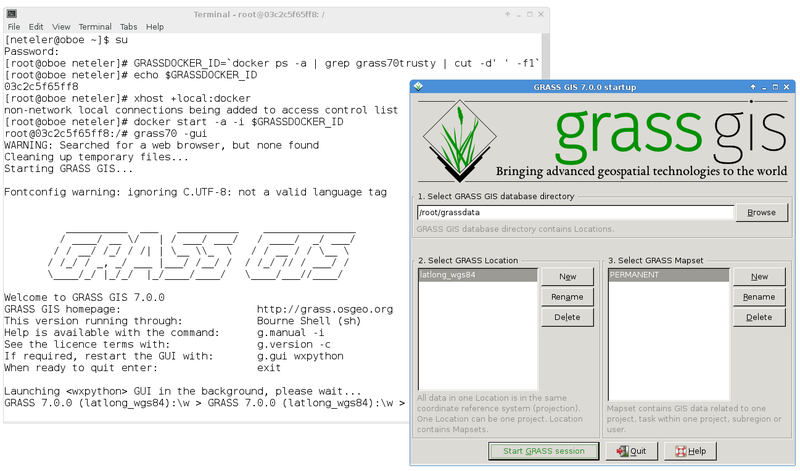 There is a nice python plugin for doing this in QGIS, you can do it in GRASS using the QGIS-GRASS plugin. But in this article I'm going for an all-GDAL approach so we will be using the handy **gdaldem** command line application. I won't be explaining the parameters I have used here as they are well explained in the gdaldem manual pages. Which will produce something like this: colorbrewer would be a good place to start if you want to learn more. Another favourite site of mine is colourlovers.com and for this tutorial I decided to use a pallette from there to see how it would turn out. Ok so our minimum height is 1m and maximum is 5768m - Tanzania is the home of Kilimanjaro after all! So lets split that range up into 5 classes to match the 'Landcarpet Europe' colourlover pallette I selected. I set nearly white as an additional colour for the highest altitude range. The value in the first column is the base of the scale range. The subsequent values are RGB triplets for that range. I saved this as a text file called 'ramp.txt' in the same directory as my 'alt.tiff' dataset. You will notice that I made the value ranges closer together at lower altitudes and wider appart at higher altitudes. You may want to experiment a little to get pleasing results - especially if you have a relatively small number of high lying terrain pixels and the rest confined to lower lying areas. Also note that I assigned the highest terrain 'nearly white' so that I could reserve white (RGB: 255 255 255) for the nodata value (65535) in this dataset. We will use the fact that white is only used for nodata to our advantage when we do a clip further on in these instructions. Don't worry about the fact that it does not resemble the colour pallette you have chosen - it will do in the next step! The next step is to combine the two products. I used Frank Warmerdam's handy hsv_merge.py script for this purpose. You may have noticed that it is only at this point that the colours of our product resemble the original pallette we used. One little gotcha with the hsv_merge.py script is that it throws away our nodata values, so what was sea before (and nodata in my original alt.tif dataset) is now white (RGB: 255 255 255). You may have everything you need from the above steps. Alternatively you can also clip and mask the dataset using a shapefile. One of the things I love about the command line is the repeatable and reusable workflows it allows for. I can distill everything in this blog post into a sequence of commands and replay them any time. 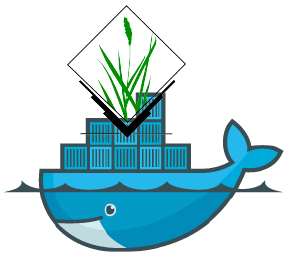 If you are still stuck doing things in a GUI only way, give BASH a try - you can really do powerful geospatial data processing with it! It's quick (overlooking slow internet access) and easy to set up Ubuntu Jaunty 64 bit for use with the FOSSGIS stack. Here are the packages I install once the base system is set up (including a few non-fossgis ones that are nice to have).